SAN JOSE, Mar 23 2017 (IPS) - Sunita Daniel remembers what the school lunch programmes were like in her Caribbean island nation, Saint Lucía, until a couple of years ago: meals made of processed foods and imported products, and little integration with the surrounding communities. This changed after Daniel, then head of planning in the Agriculture Ministry, visited Brazil in 2014 and learned about that country’s school meals system, which prioritises a balanced, healthy diet and the participation of family famers in each town. “I went back to the government and said: This is a good example of what we can do,” said Daniel. Today, the small island state puts a priority on purchasing from local producers, especially family farmers, and is working on improving the diet offered to schoolchildren. Saint Lucia is not unique. A new generation of school meals programme that combine healthy diets, public purchases of products from local farmers, and social integration with local communities is transforming school lunchrooms and communities throughout Latin America and the Caribbean. The model followed by these projects is Brazil’s National School Feeding Programme, which has taken shape over recent years and is now at the heart of a regional project, supported by the Brazilian government. Currently, the regional initiative is seeking to strengthen school meal programmes in 13 Latin American and Caribbean countries, through triangular South-South cooperation that receives the support of the United Nations Food and Agriculture Organisation (FAO). Delegates from the countries participating in the project, and representatives of the FAO and the Brazilian government, met Mar. 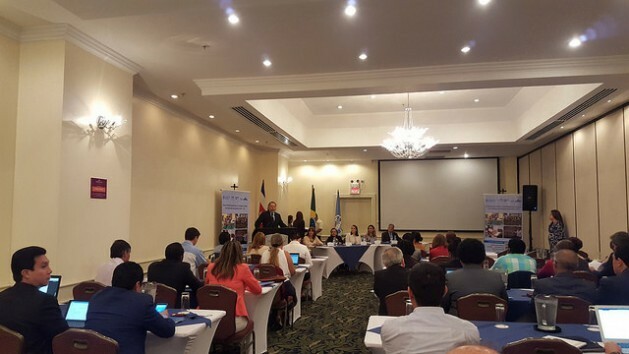 20-22 in the Costa Rican capital to take part in the “School feeding as a strategy to achieve the Sustainable Development Goals (SDGs)”, and share their experiences. Brazil’s system focuses on guaranteeing continuous school feeding coverage with quality food. The menus are based on food produced by local farmers and school gardens. In Brazil, “we’re talking about offering healthy food every day of the school year, in combination with dietary and nutritional education and purchases from family farmers,” Veloso told IPS during the three-day meeting. In Brazil, a country of 208 million people, more than 41 million students eat at least one meal a day at school, said Veloso, thanks to coordination between the federal government and state and municipal authorities. “This does not exist in any other country in the world,” said the Brazilian expert. Taking Brazil’s successful programme as a model, the regional technical cooperation project was launched in 2009 in five countries, a number that climbed to 17. At the present time, 13 new-generation projects are receiving support as part of the regional initiative, which is to end this year. According to Veloso, more than 68 million schoolchildren in the region, besides the children in Brazil, have benefited from the innovative feeding programmes, which have also boosted ties between communities and local farmers. Today, the project is operating in Belize, Costa Rica, the Dominican Republic, El Salvador, Grenada, Guatemala, Guyana, Honduras, Jamaica, Paraguay, Peru, Saint Lucía, and Saint Vincent and the Grenadines. The project has had varied results and has followed different formats in each country, as shown by the delegates who shared their experiences in San José. In the case of Saint Lucía, for example, the authorities forged an alliance with the private sector to raise funds and provide food to between 8,000 and 9,000 schoolchildren aged five to 12, said Daniel. In Honduras, grassroots participation enabled cooperation between the communities, the municipal authorities and the schools, Joselino Pacheco, the head of the School Lunch programme, described during the meeting. “We didn’t have a law on school feeding until last year, but that didn’t stop us because our work comes from the grassroots,” the Honduran delegate said. The law, which went into effect in September 2016, built on the experience of a government programme founded in 1998, and is backed up by social organisations that support the process and which are in turn supported by the regional project, Pacheco told IPS. Bolivia, Brazil and Paraguay, like Honduras, have specific laws to regulate school feeding programmes. In the case of Costa Rica, the country already had a broad school meals programme, so the authorities decided to focus on expanding its capacities by including innovative elements of the new generation of initiatives aimed at achieving food security. “A programme has been in place since 2015 to open school lunchrooms during the mid-term break and at the beginning and the end of the school year,” said Costa Rica’s first lady, Mercedes Peñas, a renowned expert in municipal development. A pilot plan in 2015 was carried out in 121 school lunchrooms in the 75 most vulnerable districts. By 2016 the number of participating schools had expanded and 200,000 meals were served in the first 40 days of the school year. This is spending that not only produces short-term results, improving nutrition among schoolchildren, but also has an impact on public health for decades, said Ricardo Rapallo, technical coordinator of FAO’s Hunger-Free Mesoamérica programme. “If we don’t work on creating healthy eating habits among children, it is more difficult to change them later,” said Rapallo. School meals programmes are essential in achieving economic, social and environmental development in Latin America, the speakers agreed, describing school feeding as a fundamental component for achieving several of the 17 SDGs, which have a 2030 deadline. 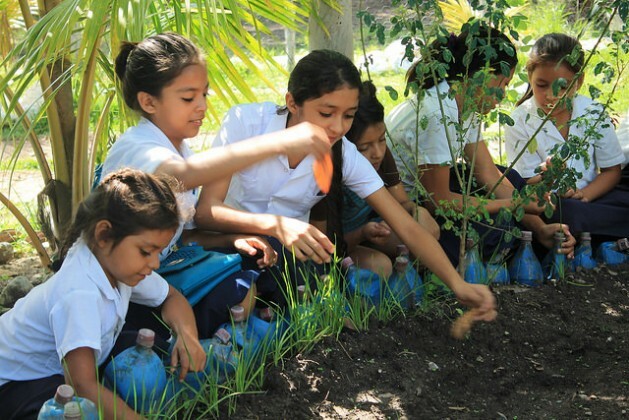 “The experience of a school feeding programme, together with a programme for public purchases from family farmers, makes the 2030 agenda possible,” said Tito Díaz, FAO subregional coordinator for Mesoamerica, during one of the meeting’s panels. Daniel described one inspirational case. In Belle Vue, a town in southwestern Saint Lucía, the school lunchroom inspired women in the community to start their own garden. “They came and said, what can we provide. And a lot of their children went to the school,” said Daniel, who is now director of the school meals programme in Saint Lucía and a liaison on the issue between FAO and the Organisation of Eastern Caribbean States (OECS). The school set up a daycare center for toddlers and preschoolers so the local mothers could work in the garden. As a result, some 30 mothers now earn a fixed income. Veloso explained that although the programme is due to close this year, they are studying what needs and opportunities exist, to decide whether to launch a second phase.